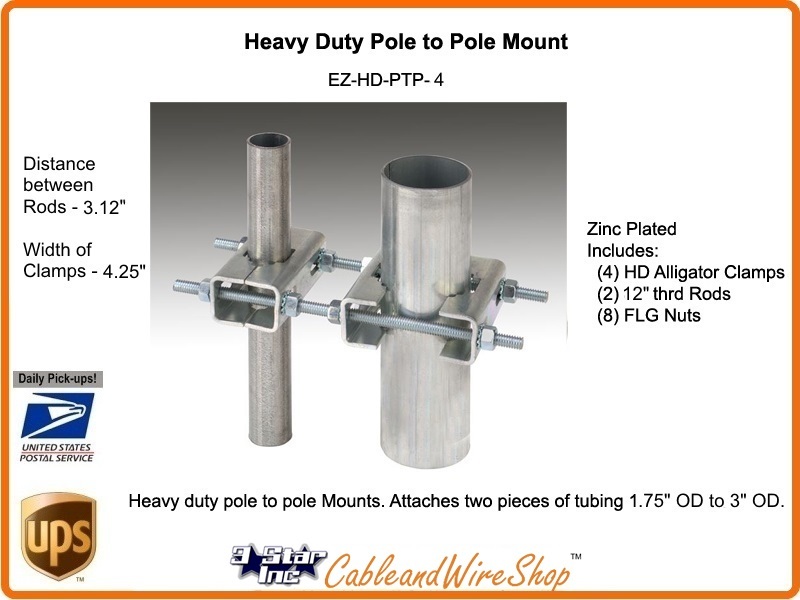 For Pipe 1.66" to 3"
Medium duty pole to pole mount. Attaches two pieces of tubing 1.66" OD to 3" OD. Zinc plated.